Blade of Queen will undergo an update for S1-S186 to improve and provide better game experience, which starts at 06:00 Oct.12 (EST). This update lasts about 15 minutes after the in-game announcement. 1. New Magic Refinery Function Function. Unlock at Lv. 200 after completing main quests. Players can challenge the instance at the right side of the Magic Refinery interface to acquire Magic Shards. 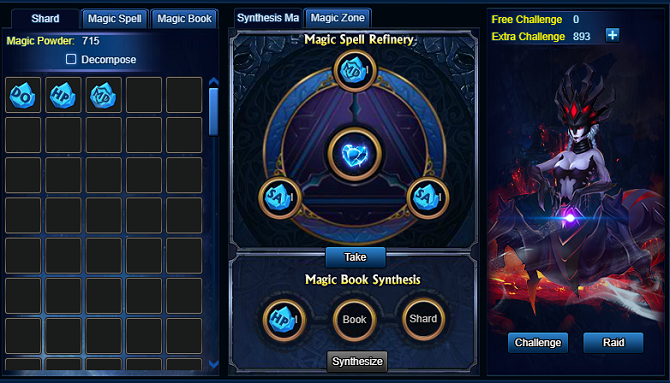 Magic Shards can be used to synthesize Magic Book or refine Magic Spell to gain high status bonus or unlock exclusive battle skills. Magic Spell: Players can combine different Target, Attribute and Number shards to refine Magic Spell. For example, Increase All Friendly Targets 1500 Dodge at the first round. 2. New Dragon Soul Orb Function. Unlock at Lv. 95 after completing main quests. Players can acquire the orb through absorbing corresponding type of Dragon Souls. 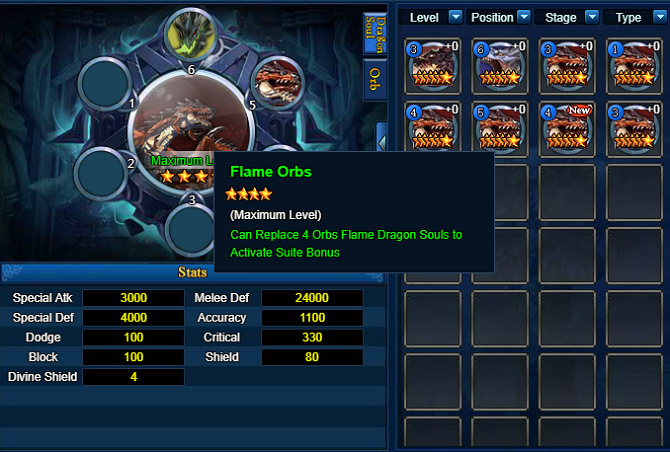 Orbs can replace the Dragon Souls of the same kind to activate Dragon Soul Suite Status Bonus. High level Orb can replace more Dragon Souls, and can replace 4 Dragon Souls at most and can get exclusive Dragon Soul Orb Status Bonus. For Example, when Arcane Dragon Soul reaches the highest level, it can provide +2500 stun proof. 3. New VIP privilege has been added. VIP 9 and above can now unlock the function of Divinity One-Key Upgrade. Players can choose Divinity Gold Upgrade, and tick the One-Key option to upgrade 1 level directly. 4. 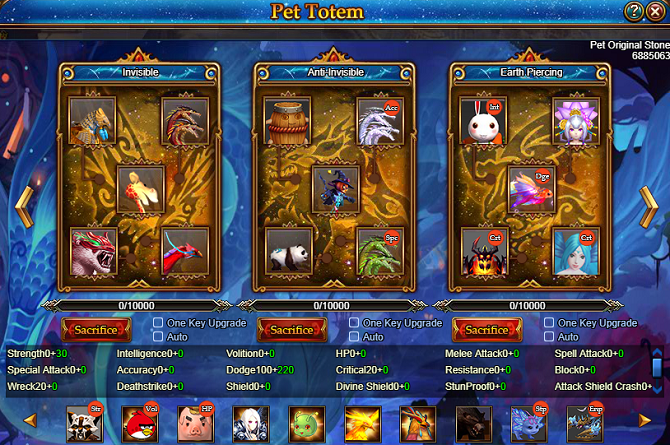 New Attributes including Invisible, Anti-Invisible, Fire Piercing, Fire Proof, Wing Piercing and Wind Proof, etc have been added into Pet Totem and Pet. 5. The maximum level of Eidolon Enlighten level has been increased to 3 Rank 10 Stage. 1. Daily Sign-in and Daily Turntable has been integrated in Login Award. Log in consecutively to get more Turntable times and 3 times at most each day. New VIP login rewards has been added. Log in consecutively for better reward. 2. Decrease the difficulty of All-Star Grade at Chapter 9 Battle 2 in Crusade.